with the utmost quality and integrity"
Deciding on a block of land? We are a local Wagga Wagga builder that has been building new homes since 1992. This means that we understand the local Wagga Wagga community and offer expert consultation to help you choose the options that are available for your new home. We build our quality homes with old fashion honesty and integrity. Our customers value this, which means that a lot of our business is from repeat customers and referrals. Our aim is to make the new home building process simple and easy for you. At Wayne Carter Homes, the Wagga new home builder we have a home for everyone. Whether you are a first time home buyer or moving up to your second or third house our experience ensures a stress-free building experience. We understand the designs, features and specifications most people want in a home and provide expert, honest advice. We choose to take a ‘hands on’ approach to the building process. For us it’s not about being the biggest builder for Wagga Wagga homes; it’s about building you the best house possible. This is why we limit the number of homes we build at one time. Therefore we give attention to detail and don’t compromise on the quality of the construction of your home. If we don’t have a building plan that you think is suitable we can custom design a plan for your house. We will also quote on your own home plan. What sets this builder apart? You deal directly with Wayne & Peta Carter from start to finish when you build with Wayne Carter Homes Wagga Wagga. We don’t have a supervisor or project manager. You deal directly with Wayne & Peta at all times. Wayne remains ‘on the job’ and is in control of the building process. This is unlike some of the bigger house construction companies where you often have to ask several different people the same questions time and time again. He oversees all aspects of the new home building process and treats the home as if it was his own. His breadth of experience and knowledge is called upon daily. When you are looking for builders in Wagga Wagga and choose Wayne Carter Homes you will find that the difference is that we have no middle men. This means that there are no miscommunications or oversights, resulting in an easier home building process. We offer quality house construction with an experienced Wagga builder who has an enviable reputation. Our company has had over 30 years’ experience in the Wagga Wagga building industry and has received numerous awards from the Housing Industry Association for their new homes. We’re happy for you to compare our quality with any other building company. Your home is your dream and a big investment so we employ quality, local subcontractors with the same vision, skill and experience as us. We are happy to be as flexible as possible to achieve the result you want and offer the flexibility to alter your selection choices. Your initial selections don’t have to be “set in concrete”. We encourage you to visit the building site regularly to help you become familiar with the aesthetics while the house is under construction. If something is not quite perfect, you can change it before it becomes a problem to alter. It’s this sort of flexibility, foresight and experience that makes Wayne Carter Homes a favourite home builder in Wagga Wagga. We have built a reputation with all our customers as a reliable, expert new home building service and take care of the whole process for you from start to finish. Our focus is to deliver outstanding quality and service throughout the home building process. Building with Wayne Carter Homes was an experience my husband and I would do again and happily recommend. We were first home buyers with very little knowledge of the market and the building industry. To make our situation more difficult we were living 3 hours away from Wagga Wagga, however, we felt confident in the work being completed. We were welcomed into their home and we were given a honest quote with insightful information. I want to thank both Wayne and Peta Carter for their amazing support and workmanship. I cannot think of anything to fault. Our home was built with such pride and perfection, even other Wagga builders commented on the high level of workmanship. There was never an occasion whereby something we asked seemed difficult, for example I decided to change our stove at the last minute and it was organised within the hour. Wayne and Peta operate a family building business, and we truly believe this makes the difference. You work with the builder, not the contractors. Thank you Wayne and Peta for building us a home beyond our dreams, it was truly appreciated! What is it like to build your home with Wayne Carter Homes? In a word……Easy! As a FIRST HOME BUYER I had no idea of the process of building. But my fears were allayed when I met Wayne & Peta Carter. What impressed me most was the quality of my home and Wayne’s meticulous attention to detail. Wayne is a man who takes pride in his work and it is reflected in the homes he builds. Peta was there all the way assisting me with colour and material selections and if I changed my selection it wasn’t a problem. I couldn’t ask for a better finished home, a really functional plan and importantly a home built to my budget. I thoroughly recommend the Wagga builder Wayne Carter Homes. This was our third new house build. Wayne & Peta helped make this house into our family home. Their being on site everyday meant we were able to move in ahead of schedule! Pleasant, informative, always available, ahead of time and to budget – what more can you ask for? We have and will continue to recommend the Wagga builder Wayne Carter Homes to everyone that we know and meet. Joel and I had just moved to Wagga so we had no idea who to build with and what to do! As first home buyers we knew even less! As soon as I made a phone call to enquire about seeing one of Wayne’s homes, I knew we were in safe hands. He offered to take me through a house he had built that was actually a home – not a display house! I thought this was a good sign – the owner trusted him with her home after the handover had been completed. The attention to detail was incredible – I was convinced we needed to build with the Wagga builder Wayne Carter Homes. From start to finish, we could not have been happier with the support, quality and care provided by Wayne and Peta. We felt like there was no question we couldn’t ask, no issue that couldn’t be dealt with. Having never built or bought before it was comforting to be guided by such wonderful and experienced people. We were never stressed as everything was so smooth and so well done. For the conclusion of our build both Joel and I were interstate. We had absolutely no hesitation in leaving the finishing touches to Wayne and Peta. They really went the extra mile for us. Peta selected the colour of our blinds without us even seeing them, Wayne ensured the drainage out the back was taken care of properly and they both make certain that every last detail was taken care of. From a first home buyer/builder perspective, we couldn’t be happier with the service, care and advice we received every step of the way. If we build again, it will be with Wayne Carter Homes – without a doubt! I couldn’t be more thrilled with my new home. This is the second home I chose to build with Wayne Carter Homes. After building my first home there was no question who I would have build for me again. Wayne & Peta Carter are an absolute dream to work with. My first home even won a HIA Award so you could say I am more than thrilled. Wayne and Peta custom designed a home to suit my corner block. They took into account my criteria of having the living area encompassing a north easterly aspect and a flow through effect to my alfresco area which had an open fireplace. The plan and quality of my home exceeded my expectations! Nothing was ever too much trouble ,even receiving valuable information from Peta weekly regarding what is on special and spending time with them both discussing the most economical design ideas possible. 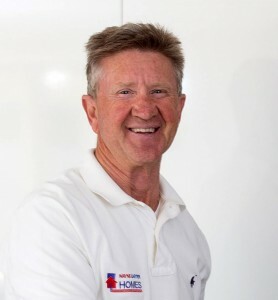 When I build again I would only go with the best builder in Wagga – Wayne Carter Homes! After viewing a home built by Wayne Carter Homes I knew that was the Wagga builder for me. I was so impressed with the quality and the extra touches and the fact that the plan could be modified to suit my needs and my budget. Flexibility was an important factor as well as I was able to alter some of my selections along the way. Wayne was able to offer experienced advice and I was impressed by the fact that I didn’t have to talk to a third party. Wayne is the person on the job which meant that nothing was overlooked and that my home was completed with the utmost quality and attention to detail. You can see the pride Wayne takes in the homes he builds. I couldn’t be happier with my home and if I decide to build again I would not hesitate to build with Wayne & Peta Carter. They’re the best! Thankyou Wayne & Peta and everyone tradesman who helped build our home. We are so thrilled with our new home- we just wanted to let you know. I’ve said it before- no Wagga builder is in your league and I’ve been spreading the word to everyone! Your professionalism & ease to deal with made our journey easy. The fit out and finish is so much better than other homes I have seen. A job exceedingly well done! The Wagga new home builder Wayne Carter Homes has built 4 homes for us in the last five years for investment purposes. We chose Wayne for as our builder for the first home because he was easy to deal with, he quoted everything we needed for an investment home and we saw that the quality of his workmanship was very good. We didn’t want any little nasty surprises at the end of building when we were working to a budget. All the inclusions were of an excellent quality and our needs were always foremost in mind when planning the project. Everything flowed so smoothly, that when we decided to do more building we didn’t look anywhere else for a Wagga builder. All our homes had tenants ready to move in on completion of building as the agents were able to liaise with Wayne to gain access to show clients. This enabled us to start earning for our investment from the earliest possible dates. Any little ‘hiccups’ from a new home were dealt with by Wayne very promptly so our tenants were never disadvantaged by a ‘stove or rangehood not working properly’. Wayne quoted on everything we asked for a ‘move in ‘ price which included everything through to landscaping, so we didn’t have to lift a finger on our projects. This was a huge asset to us as we live in Sydney and couldn’t do the work ourselves. Many people say after building a house that they would never do it again due to all the problems, but, in spite of the distance from Sydney to Wagga Wagga, a few phone calls were all it took to get the final projects under way because we had total trust in ‘our’ builder and the professionalism of his team. We are now doing a project up the coast and we asked Wayne if he would move up the coast for us, but he declined. This shows the amount of trust we have in him as a builder. We would recommend Wayne Carter homes to anyone who wants a high quality home and a professional, dedicated team working for them. We are your local Wagga Wagga award winning builder. We have over 30 years of building experience and focus on attention to detail. We only use skilled, local tradesmen who share our vision to produce quality homes for our clients.